> Wildroots Night Out: Cookie Decorating with Click’s Cookies! 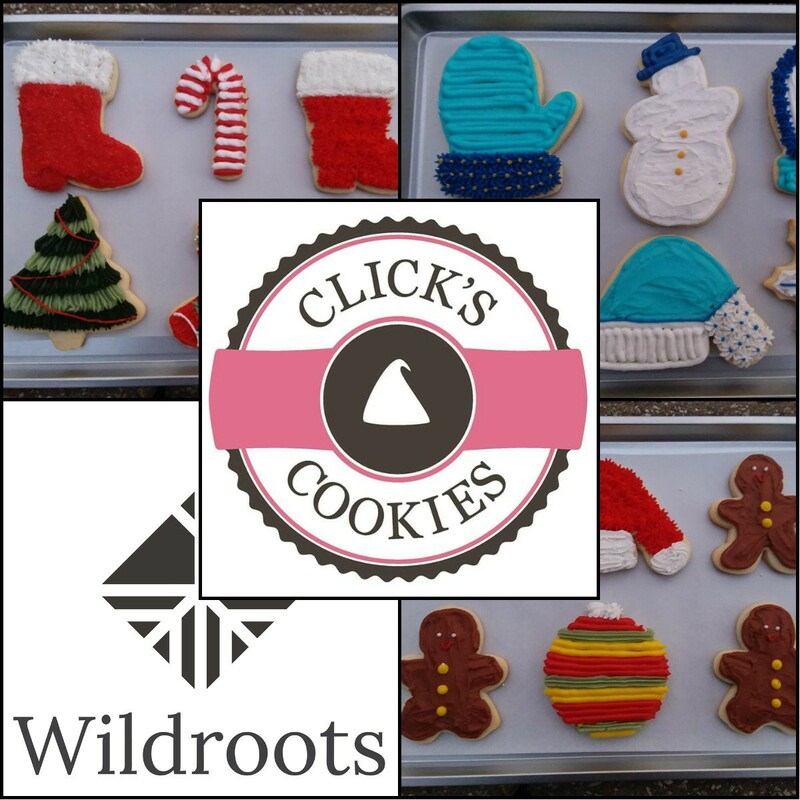 Home • Events•Wildroots Night Out: Cookie Decorating with Click’s Cookies! Wildroots Night Out: Cookie Decorating with Click’s Cookies! Join us Thursday, December 6th from 6 to 7:30 p.m. for a Wildroots Night Out! With the holidays fast approaching; now is the perfect time to join Wildroots Market maker, Click’s Cookies, to decorate cookies that are both gorgeous and delicious and perfectly suited for a cookie exchange, your next holiday gathering, or your own enjoyment! This class includes 12 cut out sugar cookies per person and plenty of frosting and sprinkles to have some fun! Enjoy a night of cookie decorating, small bites, and light refreshments with friends at Legacy Village! Space is limited, be sure to register today! Tickets are $35(plus Eventbrite fees) per person and include all supplies necessary to complete the project, small bites and refreshments.The class will be held in the storefront located between Starbucks and Janie & Jack.